When it comes to physical dimensions, D.P. Martinez’s new Kurosawa book Remaking Kurosawa: Translations and Permutations in Global Cinema is about the size of the Donald Richie edited Rashomon. This makes it one of the smaller English language Kurosawa books available. In terms of page count, Remaking Kurosawa spans altogether 248 pages, 181 of which constitute the main text, with the remaining pages taken by the index, notes and other typical peripheral material. Do not let the size of the work trick you into thinking of it as a “small book”, however, for the 181 pages contain a good amount of discussion, insights and ideas. This is perhaps understandable, considering that the book simultaneously functions on at least three interconnected levels. 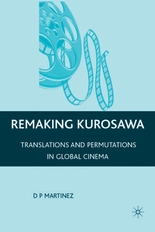 Firstly, as is indicated by the book’s title, Remaking Kurosawa: Translations and Permutations in Global Cinema is very much about how, and to some extent why, Kurosawa’s films have made the transition from locally made films into the domain of global cinema. Martinez looks at the way Kurosawa’s works have been translated from one cultural context into another, both as direct “translations” (by subtitling, dubbing, retelling or remaking) or as less direct “permutations” (works less loosely based on or simply influenced by Kurosawa’s works, or works based on or influenced by works that themselves were influenced by Kurosawa). All the while, she returns to questions such as how it is that global audiences can see connections between different works that come from different linguistic and cultural backgrounds (something she terms “desire lines”), how film makers seek to display connections between their own works and those of earlier films (what she dubs the display of “knowledge capital”), or what in the end gets lost or invented in the process of cross-cultural adaptation. Martinez’s discussion spans across both relatively direct remakes such as The Outrage or The Magnificent Seven as well as many less often considered works such as the TV series Boomtown or the science fiction film Galaxy Quest. While it would obviously be impossible for Martinez to give in-depth analyses of all works influenced by Kurosawa, she does go through a surprisingly large number of films and TV series with surprising detail. As a result, the discussion of remakes and adaptations can be said to form the core of the book. There are altogether four Kurosawa films (and their permutations) that Remaking Kurosawa looks at. Discussion of Rashomon and works derived from it takes up the largest portion, which is altogether some 80 pages. The other three films are given shorter treatments: Seven Samurai and its remakes get 28 pages, Yojimbo 20 pages, and The Hidden Fortress 12 pages (the discussion there being exclusively Star Wars related). While familiarity with the original Kurosawa films is probably necessary, Martinez does not assume the same in the case of the derived works, therefore making it easy for anyone who has not seen movies like for instance Les Girls or Quante Volte…Quella Notte to follow the discussion. This is not to say that the Kurosawa films themselves are not discussed. On the contrary, rather than simply narrating us each film and laying out a brief summary of critical theory around it, as you might expect from a book concentrating more on Kurosawa’s influence than his own works, Martinez has insights of her own to offer about all four movies that she has chosen for her book. So much so that this, in my view, constitutes the second level on which the book operates. In fact, one of my favourite parts of the book is Martinez’s fascinating reading of Rashomon, which asks the question who or what is the invisible judge, and why do all witnesses to the murder claim themselves to be guilty (except, I would like to note, the woodcutter). Martinez’s interpretation, grounded strongly on post-war Japan, Dostoevsky, Buddhist concepts as well as Kurosawa criticism that has appeared in print before her, comes to suggest that the film could be interpreted as something of a plea for the Occupation Government, or as a nation’s admission of guilt. Another true gem is Martinez’s suggestion of interpreting Mifune’s lone wanderer in Yojimbo as being a “marebito”, a type of a wandering deity that apparently appears in many Japanese folk stories. Her arguments here and elsewhere are well thought-through, but never aggressive or arrogant, and always come across as open for further discussion. In fact, throughout the book, Martinez demonstrates such an impressive understanding of not only global cinema but also of Japan that I for one would be interested in reading more about how she sees Kurosawa’s films – indeed, what her own “translations” of them are. In any case, although the focus of the book is squarely on the way the four Kurosawa films have been adapted and re-adapted, Remaking Kurosawa does offer a fair amount of insight into the original films as well. Furthermore, all discussion of the derived works ultimately ends up telling quite a bit about Kurosawa’s originals. In that sense, Remaking Kurosawa is in the end very much a real “Kurosawa book”. The third level on which Remaking Kurosawa operates is one that I am less capable of judging. As a social anthropologist, Martinez is interested in topics like globalisation, global and local identities, shared imaginations, ideas, inspirations and the representation and attitudes towards the Other. In her introduction, she is not shy when summing up what the book for her is about: “The human imagination on a global level”. As I am not very familiar with anthropological theory, research or the relevant terminology – which Martinez really only uses in the introduction and the conclusion – it is difficult for me to say whether or not Remaking Kurosawa succeeds in meeting this fairly ambitious goal. Based on my admittedly light reading into global (youth) identity research, which has been primarily confined to the domain of psychology (and took place a few years ago), I would say that Remaking Kurosawa does not fully manage to forge a connection between its discussion of cinema and the theoretical constructs that it brings forward. While the book does have much to say about what it is that makes it possible for a film to be globally successful in spite of the cross-cultural variation within its audience, I feel that a more detailed discussion would have been beneficial for the book, especially if more truly global in its nature – as it stands, most films discussed in Remaking Kurosawa come either from the Anglo-American or European film tradition. However, as I noted earlier, I may not be qualified to properly criticise this aspect of the book, and it may well be that I have misunderstood and overestimated Martinez’s goals here. Moreover, in approaching the book primarily as someone who appreciates good discussion of Kurosawa’s works, I am not very concerned about the possibility that the author may have tried to take on more than she can possibly handle in under 200 pages. I would, therefore, personally not really fault the book for these reasons. There is, however, one aspect of Remaking Kurosawa that I feel the need to criticise, and that is editing. It seems that the book’s publisher Palgrave Macmillan has put about as much (or little) work into editing Martinez’s manuscript as they have into marketing the book (Palgrave’s own product page still talks about a completely unrelated book in its “reviews” section). The book contains numerous typographical errors, and some editorial fact checking would also have been needed, with a number of harmless factual errors making their way into the book, alongside with the inclusion of a fairly entertaining case of “Hans Solo”, the less well known Lederhosen-wearing star traveller from Star Wars, whose several appearances towards the end of the book always made me think of this viral video. These are all minor details (so much so that I think the best criticism is a wink and a smile like above), but it is always somewhat disappointing when a book this good gets published without the proof-reading and fact checking that it would truly deserve. Furthermore, the carelessness in these parts may make one wonder how well researched some other presented facts in the book are, especially whenever Martinez discusses aspects of Japanese culture without references to any sources. We could in fact call this the “Donald Richie syndrome” (based on the fact that we constantly keep noting carelessness with Richie’s theories on Kurosawa), which is perhaps all the more appropriate considering the fact that Martinez seems like a big fan of Richie’s work (then again, who isn’t). This, then, is not to say that the book’s minor factual errors, which will hopefully be corrected by the time it (hopefully) comes out in paperback form, would make Martinez an unreliable authority, just that these errors may take off some of the force from those facts that a reader has no way of verifying. Another issue that I have with editorial choices has to do with the convention used for Japanese names. “A Note on Japanese Usage” at the beginning of the book explains that throughout Remaking Kurosawa names of most Japanese individuals are written with surname first, given name second. This is a practice that I personally dislike and cannot quite understand when writing in English. I can, however, live with it if it is used consistently as for instance in Yoshimoto, but unfortunately this is not the case here, as the names of better known individuals like Kurosawa, Mifune and Shimura are, as the Note explains, actually written given name first, surname last, presumably because this order has been established by other writers. Furthermore, in practice many Japanese individuals are referred to only by their last name, while the filmography at the end is titled “Kurosawa Akira Filmography”. 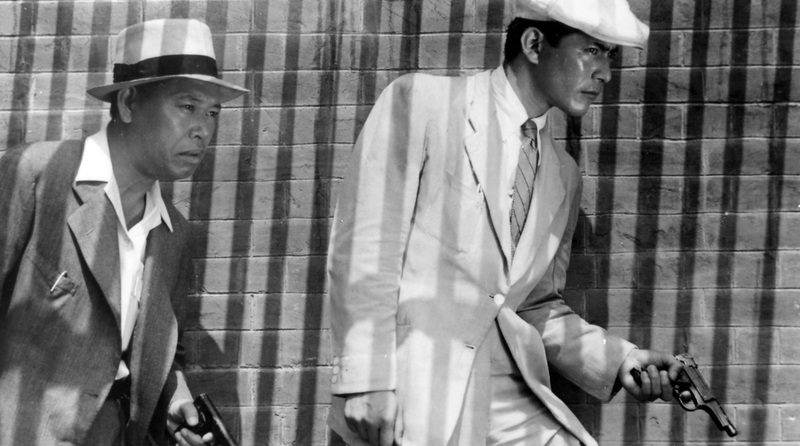 Putting the editorial issues aside, Remaking Kurosawa: Translations and Permutations in Global Cinema is, in conclusion, a very welcome addition to the growing number of English language books discussing Kurosawa and his works. It approaches the topic from an angle that has often been referred to, but never quite explored with the dedication and enthusiasm that Martinez has given it. As a very final remark, I must also give the book extra points for being, as far as I am aware, the first publication in print to reference akirakurosawa.info – it may only be in a footnote, but it’s still there! Remaking Kurosawa is currently available in North America, and can be ordered from Amazon.com, Amazon.ca and from Amazon.co.jp as an import. Palgrave’s product page now gives August 28 as the book’s European publication date, and Amazon.co.uk is currently taking pre-orders, although with a mangled title and a price that is suspiciously much lower than what the book costs elsewhere. I found this book sort like the write ups that are done as part of the film club, so I haven’t any real disagreements, nor would state any opposing view to mine(which there are a great deal of them, but I quite despise remakes) are wrong or erroneous. Nevertheless Martinez makes some interesting reads that I did overall enjoy and glad I had. Large part of the enjoyment was the semi-theoretical reasoning behind the remakes however, and not so much the remakes themselves, or even the originals to which makes the bulk of the book. So, what leads to me find the best areas, was actually the prologue, and first 2 chapters, to which are merely the set up for the essence of the book’s purpose. And while I too have some disagreements, and questions into the relations that are made. I was still quite impressed with Martinez areas regarding local and global relationships, identities, meanings of movies. Her knowledge of movies was apparent and the connections I found somewhat unique. It was really this area, I wish the book would continue on, but of course this was not the goal of the book in the first place. I should offer a possible reasoning in my disinterest towards the books end, and at so, in my discredit as a reviewer: I was drunk during the whole read and more so towards the end- but if you know a better way to read a book in one sitting, do let me know. I’ve read the book last week and I have to say that Vili’s critique and summary is absolutely perfect, I agree with everything he writes. The only part of the book that I (as someone with no social anthropology knowledge or background) found difficult is the first and final sections which deal with social and anthropological theory. 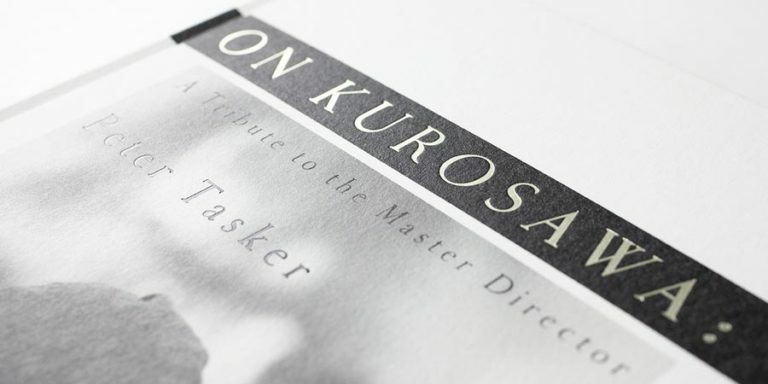 The ‘meat’ of the book however is clearly written and very accessible – she is a very good writer and a real enthusiast for the films she writes about, although if there is a criticism of the content I think it is that her enthusiasm led her to write a lot of detail about films with only the most tangental connection with Kurosawa. I agree with Vili that the two most interesting sections are her analysis of Rashomon and Yojimbo. Her identification of ‘guilt’ as a central element of Rashomon now seems so obvious to me I’m embarrassed I didn’t pick it up myself – and I’ve not read anything on the film that addresses this (although I haven’t read Richies book on Rashomon yet). She does argue, persuasively I think, that the general western conception that ‘shame’ is more important than ‘guilt’ in the Japanese psyche has led many critics to overlook this crucial element of the film. She also very persuasively argues that the reason Rashomon was so well received in Europe compared to Japan and the US was that the guilt and self justification were central to the psyche of post war Europe. 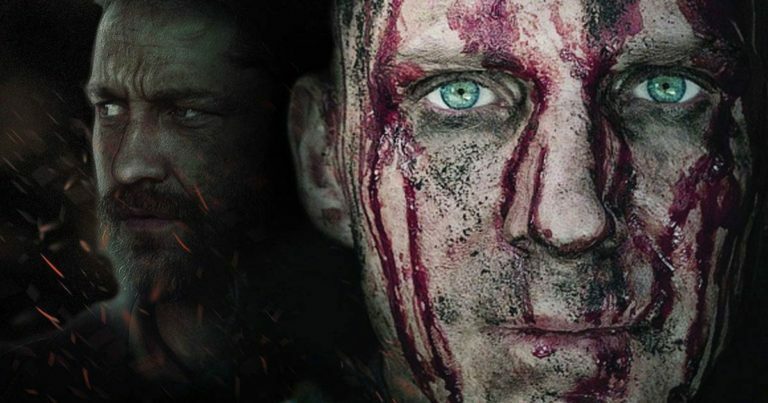 It was immediately recognised, subconsciously at least, by European audiences that this film was about more than the nature of objective truth, it was also about how a pervading sense of guilt can distort our perceptions in a deep and twisted manner. 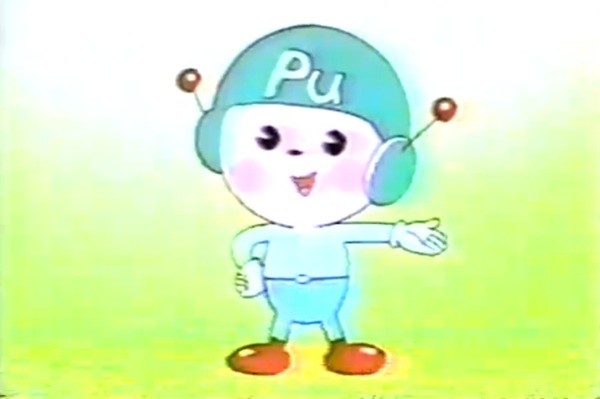 It is implicit in her critique that it was too far ahead of its time for the Japanese public to accept it in those terms, and it simply didn’t occur to US critics that this could be a central theme. I think this is an important insight and for me it made me see the film in another light, in particular the much criticised ending. Marebito are mysterious strangers who appear in a town or village and who must be treated carefully, they bring blessings if they are treated well – giving them food and drink in the main – but can destroy a person or place if treated badly… They are trickster deities, hard to pin down, playing jokes, unreliable. She identifies key scenes in the film as supporting her theory – at the very beginning we hear that the silk festival may not take place – as festivals are required to placate the marebito, this is seen as an invitation for one to appear. Marebito are seen as vengeful to those who give bad hospitality, while will reward (or at least spare) those who go beyond the minimal social niceties. She notes that no motivation is given for Sanjuro saving the family (after all, he says specifically that people like them ‘make him sick’), but a marebito would be expected to reward Gondo’s hospitality by helping his friends. Unosuke too, is a spirit, but a purely evil one. She notes that when he dies he says that he will see Sanjuro ‘at the entrance to hell’, not in hell itself – as if he has the power to choose where he will spend his afterlife. I found this theory really interesting and well argued – it makes a lot of sense to me and I think enhances the film even more (not that I could possibly think more highly of it). She also notes that in a Shinto sense the film is steeped in mythology, something which most critics have missed, but interestingly Leone and Hill seem to have picked up in their respective remakes. 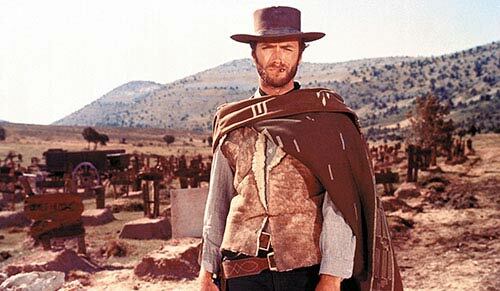 She doesn’t mention it, but when I read her idea I immediately thought of Eastwoods High Plains Drifter – maybe this was in some way connected? I bought the book at the probably incorrect price on Amazon.co.uk. Its definitely worth buying at that price for anyone wanting to expand their Kurosawa library, but I think the full, US price is outrageous for such a small book which has been so poorly edited and printed. The content deserves much better. I hope it is brought out in a cheaper and better paperback edition it deserves a wider readership. I’m really glad that you liked the book, Ugetsu!